Max was born in Germany but spent much of his childhood in Shanghai, where his parents encouraged his artistic pursuits with and endless supply of art supplies and the freedom to create whatever he wanted wherever he wanted. After 10 years in China and a a few more in Israel and Paris, Max settled in New York in 1953, bringing with him a rigorous work ethic and drive to improve his artistic abilities. After studying Realism at the Art Students League in Manhattan, Max spent most of the 1960’s working in graphic arts, collages, posters and psychedelic art, an output which would later come to be known as the Cosmic 60’s. His artistic expression of the spirit of the times earned him huge success, and catapulted Max into his status which he still retains as a cultural icon. 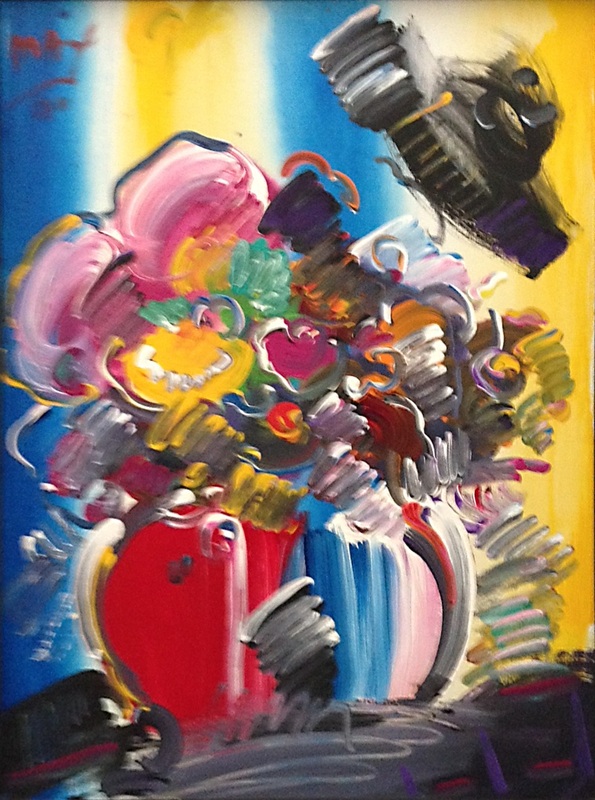 He has been named the official artist of numerous world-renowned sporting events, including the 2006 U.S. Winter Olympic Team, 5 Super Bowls, the World Cup USA, and the World Series. He has painted a Boeing 777 jet and a Norwegian cruise ship. He started the Integral Yoga Institute after spending time with and learning from the spiritual teacher Satchidananda Saraswait. He appeared on the Ed Sullivan Show, the Tonight Show with Johnny Carson, and the cover of Life Magazine. 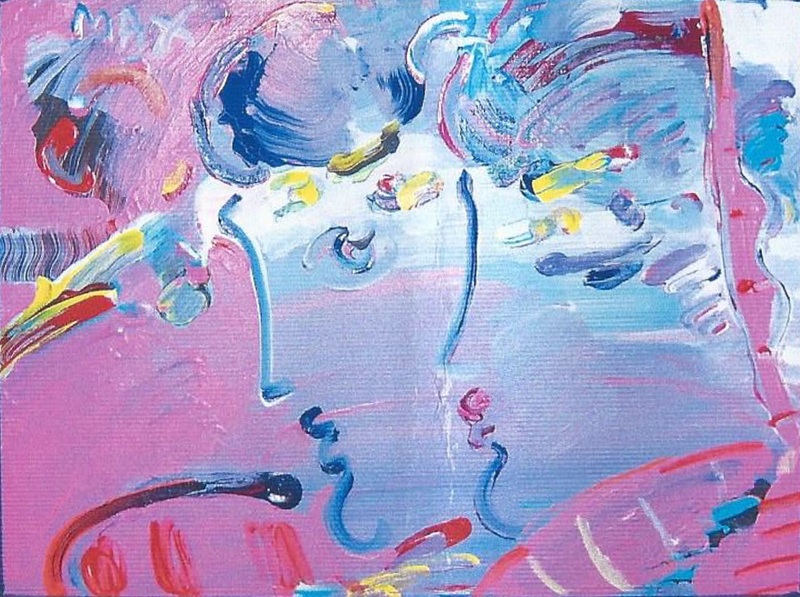 Barnett Fine Art has two Peter Max original paintings available which showcase his judicious use of color and his warm, playful style. “Double Profiles” and “Flowers on Blue Yellow and White” can be seen below. For more Peter Max art, please see our Peter Max page. Barnett Fine Art is located in New Orleans, Louisiana. You can view a sample of the art and artists available by visiting our website. 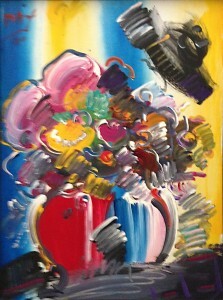 Several of the artists are local to the New Orleans area and they are extremely talented, creating exceptional artwork. As a private dealer, Patty Barnett of Barnett Fine Art can locate fine art limited edition works on paper and sculpture as well as original art. Additionally, our exclusive fine art consignment/resale service provides a platform to sell your artwork to support the diversity of your growing collection. Follow us on Facebook, Twitter, Google+ and LinkedIn. This entry was posted on Wednesday, May 21st, 2014	at 5:48 pm	and is filed under Artists Biography	. Both comments and pings are currently closed.